Why blockchain could be the key to transform the IP industry. Blockchain could have a significant role to play in the IP industry. It has the potential to support idea generators and those that work with them to create revenue from innovation. But, this will not happen overnight. It was simple to adopt blockchain for cryptocurrencies, where no central verification method existed to support the new currencies. Applying blockchain to an industry that already has proven (albeit often slow and challenging) methods will be more challenging. In this article, Toni Nijm, chief product and strategy officer, CPA Global will discuss how ultimately, blockchain could be more impactful on the IP industry than it has been even to the financial services industries and how the challenge will be in creating the right adoption path for the technology. The technology industry first started paying attention to blockchain when Bitcoin was launched as the two are integrally linked. Bitcoins are rewarded to those that help create and maintain the blockchain that records the transactions when Bitcoins are bought and sold. Many computers around the world hold a copy of the blockchain which is how it is able to remain accurate. Furthermore, the whole system is secured by military grade cryptography. The dispersed structure ensures that there is no single point of failure which means it is almost impossible to hack the network, forge transactions or freeze them for legal purposes. 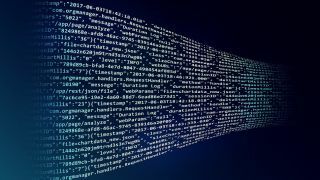 Each new block in the chain is created with a copy of the previous block attached, meaning that in every case a past record is included in the next version of the blockchain. Blockchain technology is generating excitement across a number of industries because it is able to help solve complex issues, particularly those where transactions take place globally and there is a need for transparency. The most obvious benefit of blockchain is that it allows everyone that is part of creating and maintaining the blockchain to be part of the ecosystem. When creating Bitcoin, inventor ‘Satoshi Nakamoto’s’ intention was to create a stateless virtual currency that was not controlled by any bank or government. With blockchain, rather than setting up what would effectively be a central bank or governing body to oversee Bitcoin, the creators have enabled the technology and the community that supports it to take on this role. This means that transacting with Bitcoin and other crypto currencies is quick and easy. It is also considerably cheaper than the cost of transactions through a traditional bank. The financial industry seems like an obvious fit for applying blockchain technology but, in almost all cases, large banks and financial corporations have stopped using the decentralised element instead created a closed, private digital transaction record book. In December 2007, The Australian Securities Exchange announced it would start using a blockchain to keep track of shareholdings and carry out equity transactions. However, its blockchain is to be very different from Bitcoin’s public ledger. It will be a private, invitation-only network, run by the exchange in compliance with law and regulation. The foundation of most companies’ value is intellectual property. The current IP industry landscape already has third party authenticators for trademarks and patents that exist in the form of national patent and trademark offices, as well as some international organisations. So how could the industry benefit from blockchain technology? Current IP regulators and authenticators were created in the pre-digital age. Most countries around the world have their own systems for IP management. Whilst there is some consistency, there is also a great deal that is unique to each individual jurisdiction. Before international trade was ubiquitous, this was less of an issue. Businesses grew their home market first before concentrating on internationalisation. More recently, particularly since the advent of the internet, this has become more of a problem. Ideas are international from inception. Businesses that exist on the Internet can internationalise incredibly quickly and effectively but managing their brands and ideas over multiple territories is incredibly challenging, demanding a great deal of time and cost. Blockchain could potentially help to make this less of an issue. Introducing blockchain technology to the IP industry has the potential to offer a powerful new tool to millions of innovators around the world by giving them ability to protect all stages in the innovation cycle. If the industry can find a means to adopt the technology in the short and medium term, then the technology has the potential to significantly support idea generators and those that work with them to create revenues from innovation. Toni Nijm, chief product and strategy officer, CPA Global.